Many physicians in the early stages of their career do not yet own a home. If you are currently renting, you may be among the 60% of renters who have overlooked something very important: renters insurance. Many renters do not carry insurance because they are unaware of the facts. At TMA Insurance Trust, we want our members to be fully informed. Here are some of the most common misconceptions about renters insurance, and why you should know the truth. Myth: My landlord has insurance; I’m protected. Fact: Many tenants believe that their landlord’s insurance also covers their personal property. But legally a landlord has no “insurable interest” in your belongings. This means that by law, they couldn’t insure your property, even if they wanted to. (More and more landlords are now requiring tenants to buy renters insurance before a lease is signed.) If there is a fire, theft, disaster of any kind - your landlord’s insurance will cover the building, but it will not cover any of your possessions. Myth: I don’t own much, so renters insurance isn’t worth it. Fact: Your possessions are probably worth much more than you think. According to a recent article, the combined value of a college student’s personal property can be worth over $10,000. Think about how much it would cost to replace just your laptop, tablet, printer, phone and TV. Now add new furniture, clothing, jewelry and shoes - not to mention small kitchen appliances, books, bedding ... the total adds up quickly! As you progress through your training, out of residency, and into active practice, your number of possessions only grows. There is no doubt - the cost to replace what you own is many times higher than the cost of a renters insurance policy. In most cases, renters insurance also protects your belongings - even if you aren’t at home. If your laptop is stolen at your local coffee shop, renters insurance will protect you. If your locker is broken into at the gym, renters insurance can replace your personal property. Myth: I would never use it, and just be throwing my money away. Fact: Renters insurance protects you in many more situations than you might expect. It covers not just loss from fire or theft - it also covers damage caused by you. Many young physicians and physicians-in-training lead hectic lives, leaving them fatigued and distracted. Fatigue and distraction can lead to accidents. Suppose you forget a pot on the stove, leave a candle unattended, put too much detergent in the washing machine - you could easily become responsible for catastrophic property damage. Renters insurance would protect you. Renters insurance also protects you from the negligence of others. If your downstairs neighbor has a fire, your apartment and everything in it will likely suffer smoke and water damage. Renters insurance will give you the money to replace what was damaged. Additionally, while your landlord does repairs, you won’t have to couch surf; renters insurance includes “additional living expenses” or “loss of use” coverage that will pay for a short-term hotel or apartment stay. Finally, renters insurance can protect you from potential lawsuits. If a guest gets injured while visiting, renters insurance would pay for their medical care and covers you in case they decide to sue. Even if your dog bites someone, renters insurance can protect you. Myth: Renters insurance is probably too expensive. Fact: The average cost of renters insurance in the state of Texas is only 63 cents a day. That’s less than the cost of a pack of gum! When you think of all the ways that renters insurance can protect you, the truth is: you can’t afford not to have it. If renters insurance sounds like a good choice, you may now be pondering several questions. How much coverage should I get? How would my roommate affect the policy? What will happen if I need to move? As a TMA member, you don’t have to wrestle with these questions on your own. Your membership entitles you to free and unlimited access to helpful insurance advisors. 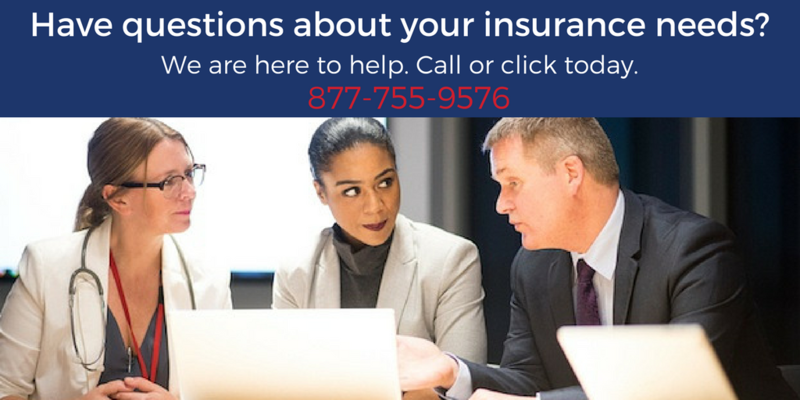 Your advisor will help you determine how much coverage you need, comb the marketplace looking for the best rate, and find any discounts for which you may be eligible. So don’t hesitate - call today to get the protection you need.